From a murder charge to the San Diego Chargers—defensive back Jimmy Wilson spent more than two years in jail before he was acquitted of murder. 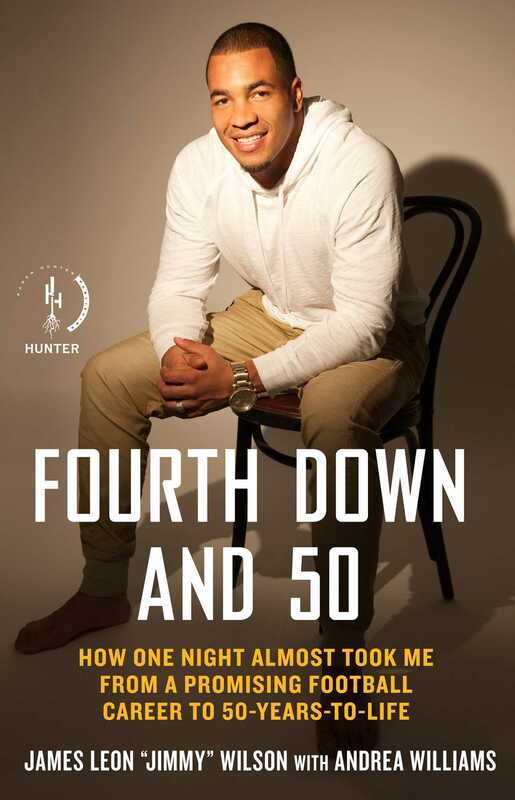 In this motivational coming-of-age memoir, he shares the inspiring story of how faith in God and the love of his family helped him turn his life around and achieve his NFL dreams. Jimmy Wilson knew he shouldn’t have gone to his Aunt Opal’s house on the eve of his return to the University of Montana, where he was a star football player and preseason candidate for All-American. But when he learned her partner had badly beaten her, his primary concern was for the safety of her and her two young children. Growing up a biracial kid in the San Diego projects, Wilson was always fighting. Kids tested him, and he relied on his physical prowess. Tussling with his aunt’s abuser on the lawn of her home, trying to defend himself from the man’s gun, Wilson was in his element—until a shot accidentally rang out, changing the game. Wilson was labeled a murderer, and his football dreams all but faded. The next two years in jail opened his eyes to another world. When he was finally acquitted, he felt adrift back in his old neighborhood. But through his faith and the support of those who believed in him, Wilson made it back to Montana and eventually to the NFL. This is his uplifting story of growing from a boy to a man and how one bad decision that threatened to end his life became a catalyst for complete transformation. I’ve been fighting all my life, really. I grew up in San Diego, California, in Section 8 housing, and there were always so many kids. By the time I walked outside at eight in the morning, there would already be thirty of us running around and playing, trying to stay as happy and entertained as possible in the midst of poverty and government assistance. Eventually, we’d break up into teams and play football or basketball, and we’d have fun for a while, but a fight would always break out at some point. Some kid would end up with a bloody lip or a black eye. Somebody else would have their arms and legs scraped up from being pushed down on the hard concrete. But those fights never signaled a permanent break to our activities. No one ever went home to nurse their wounds and refused to come back outside to play the next morning. For me and the kids I grew up with, fighting was just a part of life. It was just what we did—even with friends and people we cared about. Then, if some kids from another neighborhood came around, we’d have to beat them up, too. It was just the customary thing to do. Part of the reason we threw punches, wrestled, and slap boxed at will is that there was no one there to regulate. There were no adults breaking up fights, and there were definitely no police called. Nowadays, kids can’t fight like that. There’s always somebody filming with their iPhone camera and posting it on the Internet, getting some thirteen-year-old locked up for assault. But when I grew up, parents were the closest thing to smartphones, and if they didn’t see something go down, it was like it never even happened. And for those of us (most of us) who were being raised by single moms struggling to make ends meet, busted lips and head lumps were of little concern anyway. There was just always something more important for the adults to worry about. So we fought. And if we got beat up, we took our beating and the ridiculing that came with it. I didn’t get laughed at much, though, because I didn’t get beat up. I was doing the beating. My uncles and cousins were in and out of jail, but when they were around they wanted me to be tough, so they started teaching me to jab and hook when I was just two years old. The thing is, growing up as a biracial kid with a white mom and a black dad who was always locked up meant that I actually needed the training. Kids were constantly testing me, so I had to scrap to maintain my own reputation and keep up my self-­confidence. A lot of mixed kids who are raised by white parents grow up with an identity crisis and don’t know whether they want to be white or black. I never had that problem. My mom and everybody else in my family always told me that I was a black man and that I’d be treated as a black man, so I should act as such. I knew I couldn’t do the same things that the white kids did because I’d get in more trouble. I knew the police would still see me as a black man and treat me like a black man. But even though I always knew I was black, there were other black kids in my neighborhood and at school who saw me as a white boy. Those California kids didn’t think I was as black as they were, despite the fact that most of my family is from Albany, Georgia—deep in the country. I knew we were blacker than the families of most of the kids teasing me, but I had to fight to prove that. Meanwhile, for everybody else including the white kids I went to school with, the one-drop rule definitely applied. I was 100 percent black in their eyes, and that alone was reason for them to want to fight me, too. As I moved into high school and, later, college, I was still fighting—but for different reasons. I started playing football and I was good. Good, and very arrogant. I was talented and playing college ball on a full-ride, I had beautiful girls falling all over me, and I had a little money in my pocket. There was nothing anybody could say to me. I was that dude, and because I grew up fighting with the same ease I used to brush my teeth, I was on top of the world with a really, ­really short fuse. And once that fuse was ignited, there was no putting it out. James Leon “Jimmy” Wilson is a cornerback and safety for the San Diego Chargers, his hometown team. He played college football at the University of Montana before the Miami Dolphins selected him with their final pick in the 2011 NFL draft. He and his wife Alexandria have two children. 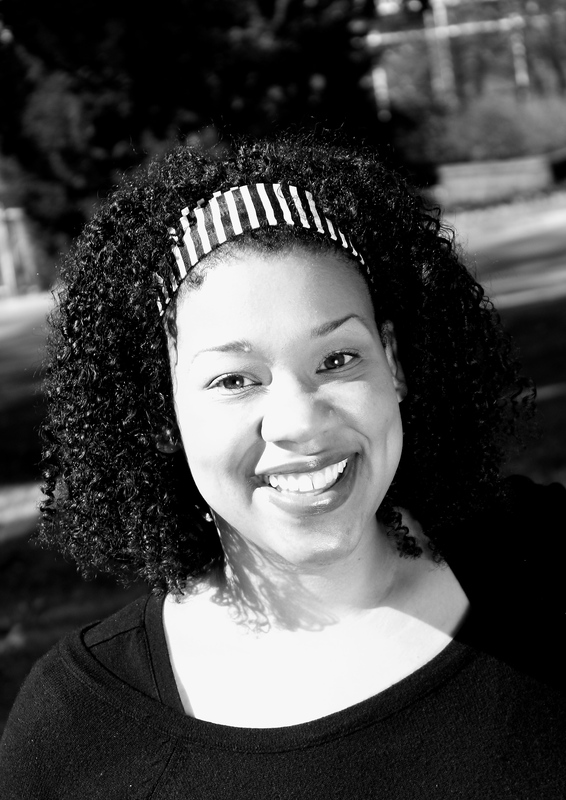 Andrea Williams is an author, journalist and editor who's always on the lookout for the next great story. Though currently residing in Nashville, Tennessee with her husband and four children, Andrea's heart will always remain in her hometown of Kansas City, Missouri, where it feasts constantly on Kansas City Royals baseball and Gates & Sons Barbecue.